Forgiatura A. Vienna was founded in 1962 and is specialized on medium and large heavy-rolled and open dye forged products. Leader in the international and national markets for the supply of heavy forgings, most of the company’s products are exported all over the world. Its main customers are companies acting in petrochemical, nuclear, oil & gas, cement, energy, siderurgical, mechanical and off-shore industries. The manufacturing site is located in Milan area, lying over an area of 120.000 m2, which 45.000 are roofed. 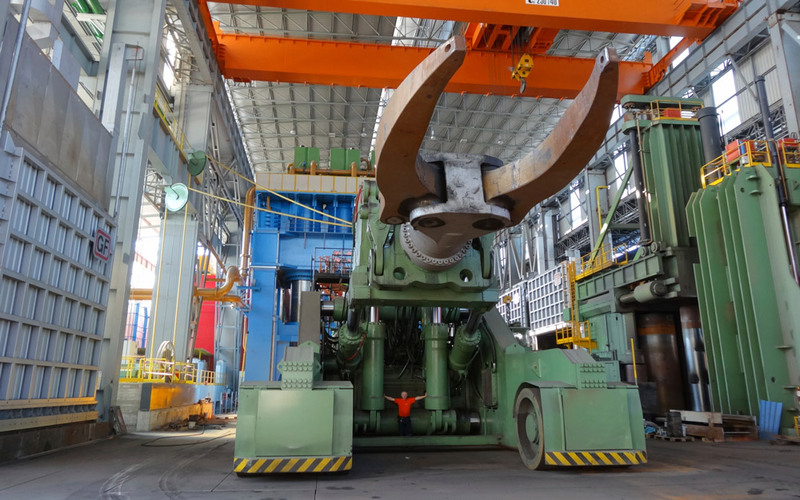 The plant is equipped with the most powerful worldwide press up to 100.000 tons, named “Tyson”; the biggest ESR plant for Electro Slag Remelting equipped with 2 stations for the production of ingots up to 250 tons; one rolling mill, named “Calam 2” able to produce rings up to 10 m diameter and 5 m height. Several heat treatment furnaces integrated with quenching facilities and manipulators, a machining department served by different lathes and cutting machines, a modern laboratory for destructive and NDT complete the technological force of Forgiatura A. Vienna. The company worldwide leadership is enhanced by the high productive capacity which is rationalized through the development of a Process Engineering area: digital devices and a team of experienced and skilled engineers are the company key to success. As a result the technological power is led to match the customers’ requirements: ad hoc processes are defined for each and every product. Forgiatura A. Vienna counts the main international certifications in nuclear, petrochemical and safety sectors, and its test material laboratory is qualified by the most important Italian and international customers.